Mahadevi comes from a poor family from a desolate village in rural Karnataka. 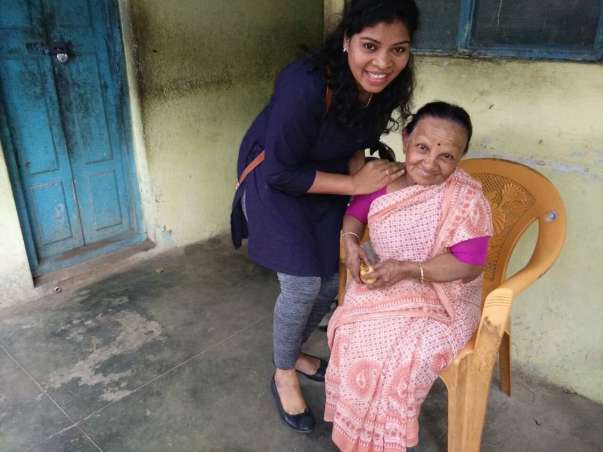 She came to Bengaluru seeking a bright future for herself and has toiled hard to complete her basic schooling. Now she is working as a teacher in a playschool teaching children. But this story is not about her. Its about her dream, her passion, her commitment to build a roof for the underprivileged section of the society. She has been serving the downtrodden, the disabled, the poor, the underprivileged, the old, the orphaned, the helpless and the needy as much as she can. As a teacher at the playschool, she hardly earns Rs. 9000 a month. However this has not stopped her from contributing towards the needy. From the past 5 years she has been using half of her salary of Rs. 4500 to help the needy in buying food, clothing, fruits etc to the needy. 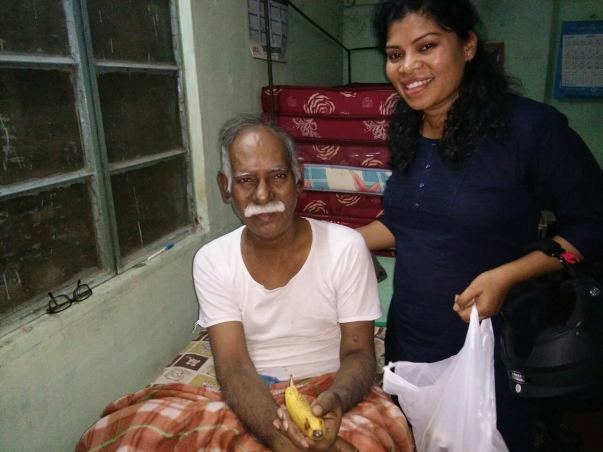 She visits old age homes, orphanages, destitute homes after her day at the playschool ends. 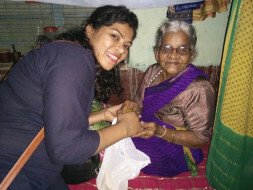 Now she wants to build a home for the destitute section of the society and serve them for the rest of her life. She is seeking contribution from kind hearted people to build a home for the destitute and to serve them. She herself cannot finance the project owing to her poor financial background. Initially the place will accommodate 40 inmates who are in dire need of a roof and a caretaker. Later the capacity will be increased to 100 depending on the funding met. It will house the disabled, the old, the orphaned, the destitute and the needy. The amount you contribute will go towards leasing a place for the 'Home', buying cots & beds, basic infrastructure for the premises, administrative costs, food for all the inmates for 1 year. Friends please do contribute to this noble cause and make a difference in the society. The amount you spend on a weekend is enough to feed a hungry stomach for a month. The sneakers you buy feeds 3 people a month. Join Mahadevi in this noble cause and be a part of this great deed. Support this young woman to make a difference. If you are not able to contribute monetarily, you can share this story. After all SHARING IS CARING too.